You'll be £14.99 closer to your next £10.00 credit when you purchase Afrika Korps. What's this? Order within the next 8 hours, 18 minutes to get your order processed the next working day! Afrika Korps is an illustrated record of Field-Marshal Erwin Rommel and his desert troops that fought in North Africa against British and Commonwealth forces between 1941 and 1943. 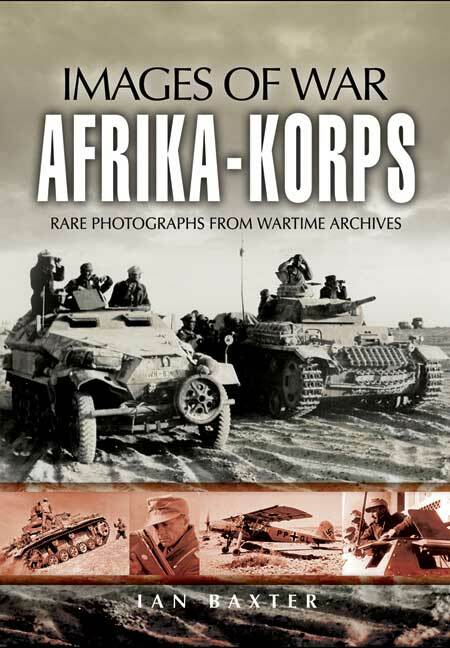 Using previously rare and unpublished photographs, many of which have come from the albums of individuals who took part in the desert campaign, it presents a unique visual account of the famous Afrika-Korps' operations and equipment. Thanks to an informative caption with every photograph Afrika Korps vividly portrays how the German Army fought across the uncharted and forbidding desert wilderness of North Africa. Throughout the book it examines how Rommel and his Afrika Korps were so successful and includes an analysis of desert war tactics which Rommel himself had indoctrinated. These tactics quickly won the Afrika-Korps a string of victories between 1941 and 1942. The photographs that accompany the book are a fascinating collection that depicts life in the Afrika-Korps, as seen through the lens of the ordinary soldier. An interesting book with unpublished documentation of great value.